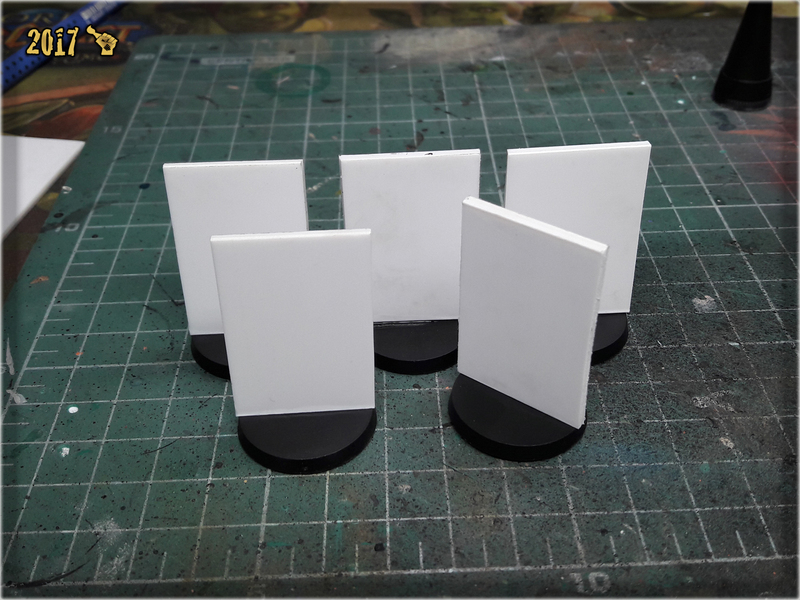 In this article I would like to present to you an easy way to prepare and then paint your own Camo Markers for Infinity the Game. Obviously, the preparation process was pretty simple. 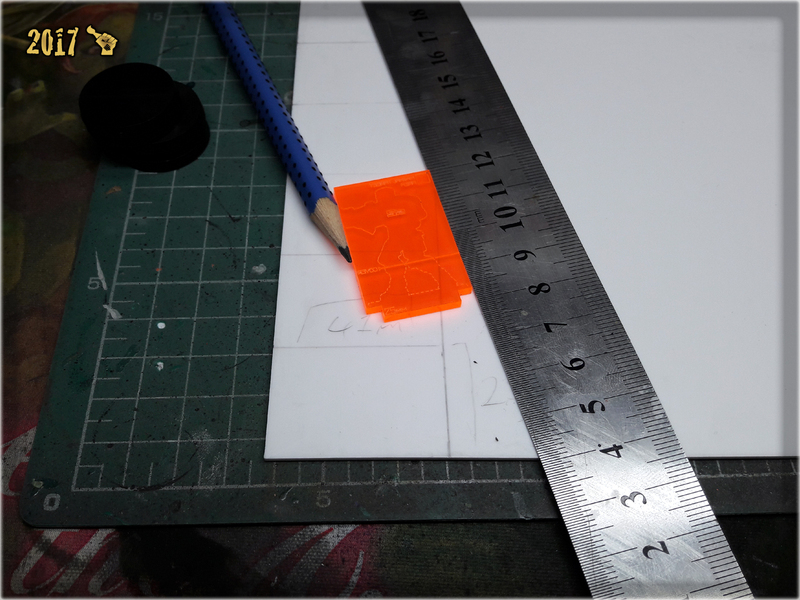 Using a ruler, pencil and hobby knife I first drawn and then cut five 25x47mm rectangles made of PCV. 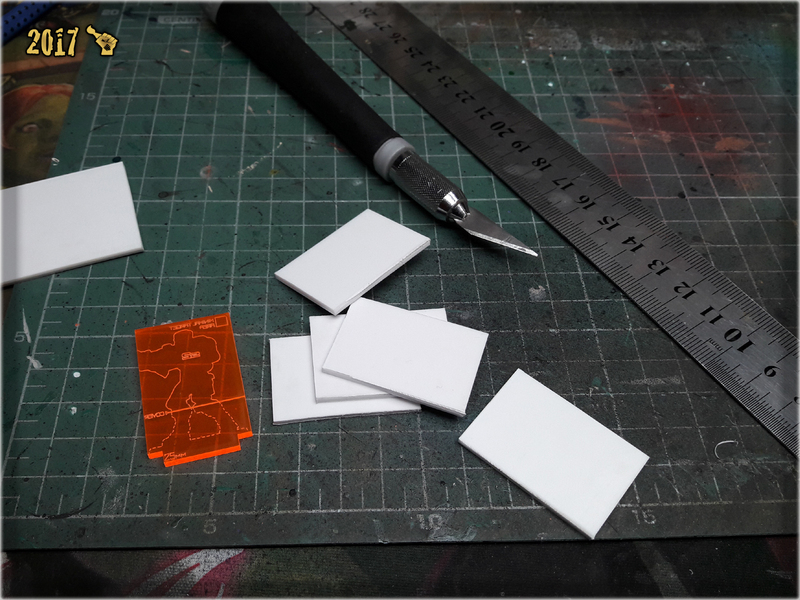 I then glued them on top of 25mm round bases. 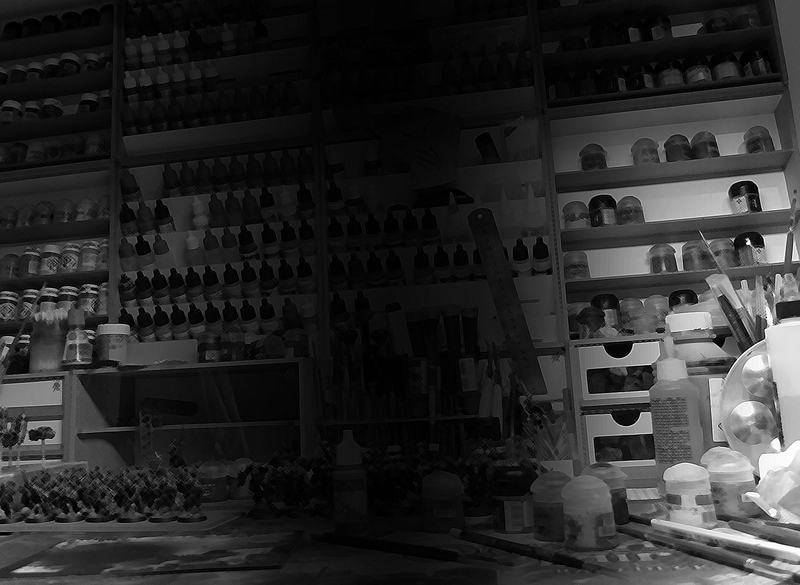 At this point Camo Markers were ready to get painted. 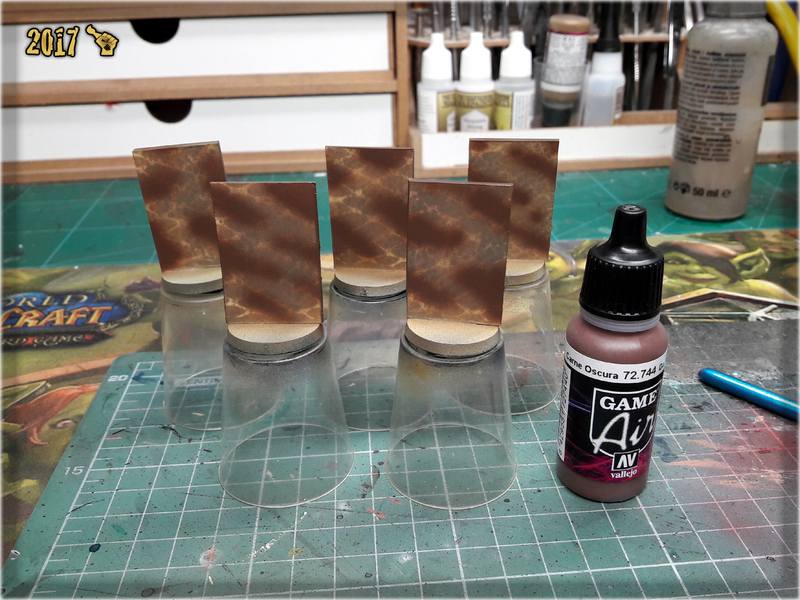 1 First step was to undercoat entire Camo Markers with Vallejo's Desert Tan. 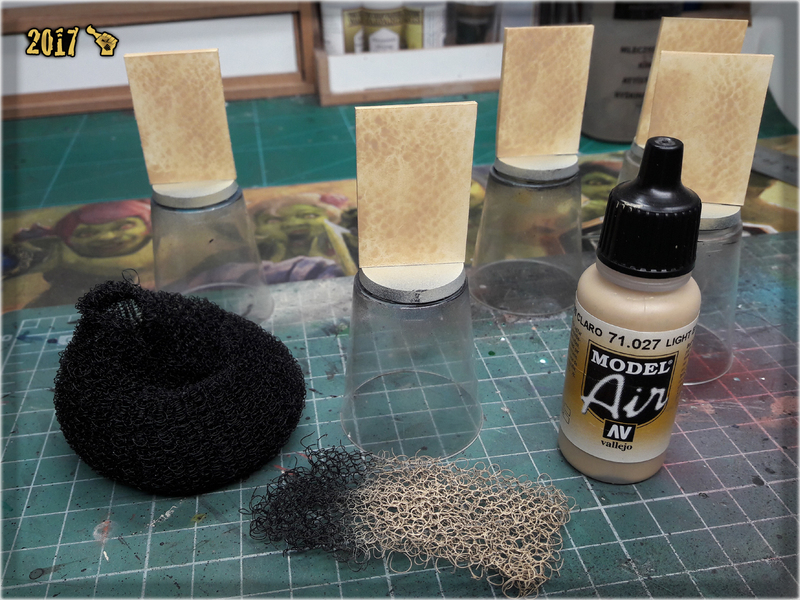 2 Next I used a piece of synthetic hair holder as a stencil and airbrushed Vallejo Light Brown over the Markers. 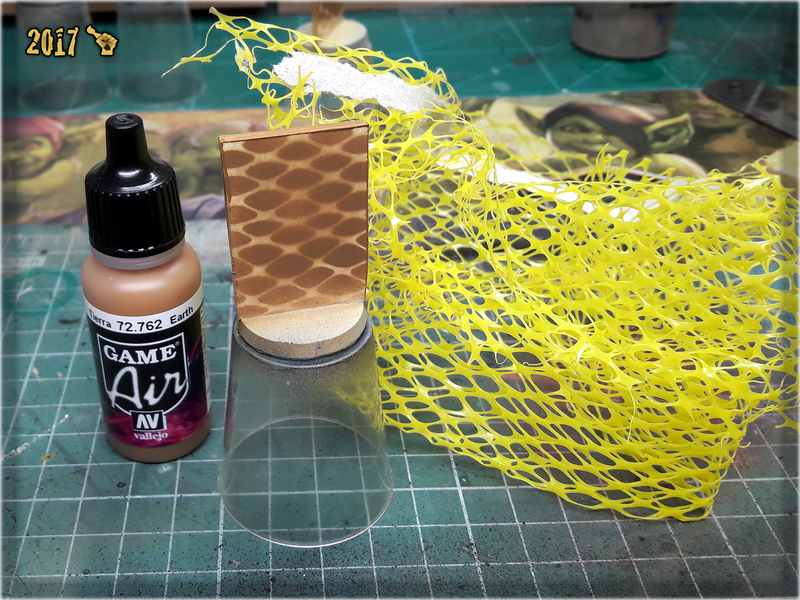 3 Then I switched to Vallejo Earth and airbrushed it over the markers using a piece of net that I got patatoes in. This net should be easily obtainable in every grocery store and makes for a really cool stencil. 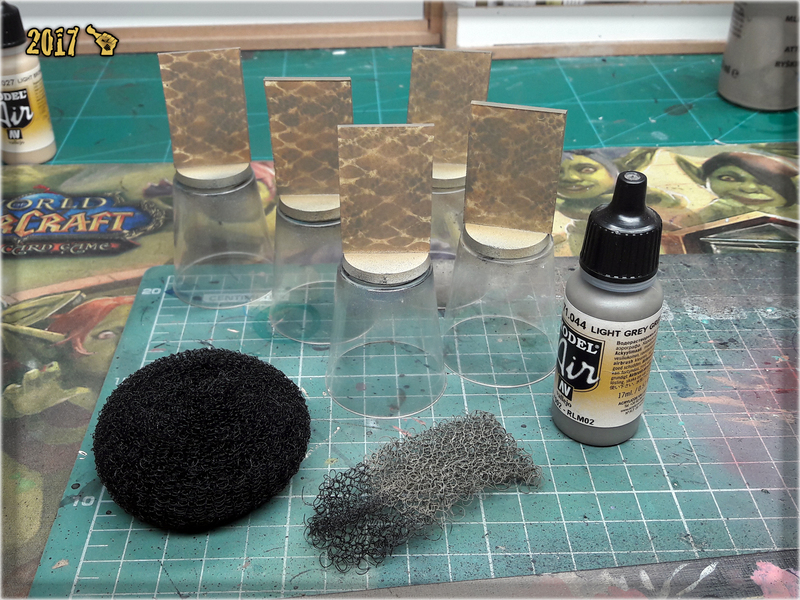 4 I then got back to hair holder stencil and airbrushed a layer of Vallejo Light Grey Green. 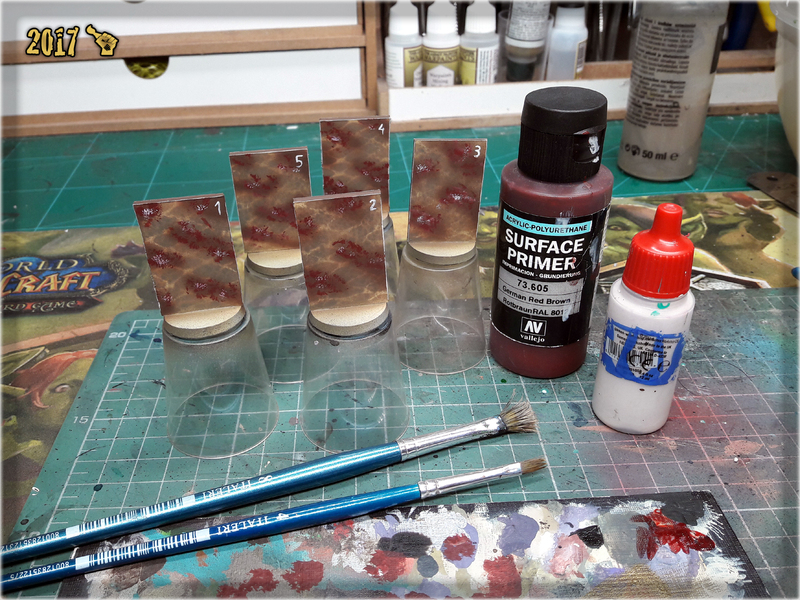 5 Next I airbrushed points of Vallejo Dark Flesh. 6 Some wet stippling went next. First I applied clumsy dots of Vallejo German Red Brown, then did the same with Games Workshop Pallid Wych Flesh. 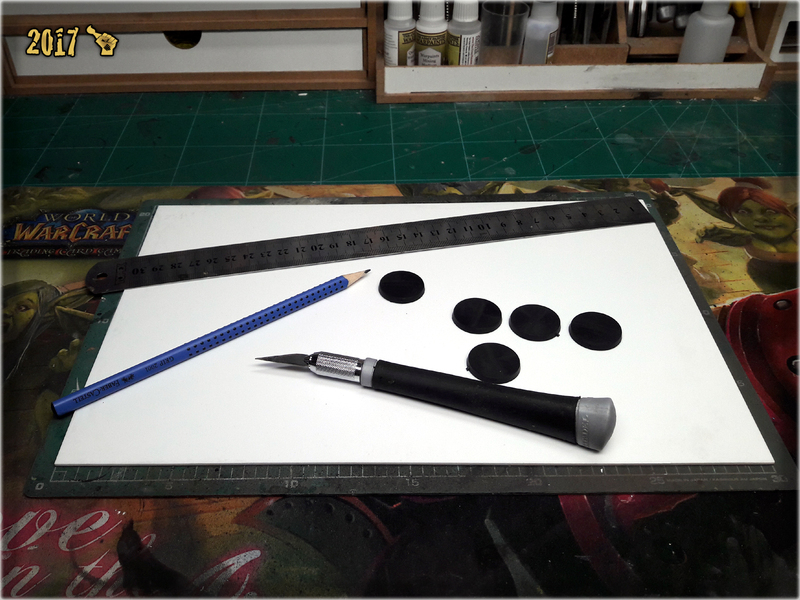 Afterwards I used Pallid Wych Flesh to mark edges of the markers and provide number to distinguish them from one another on the gaming board. 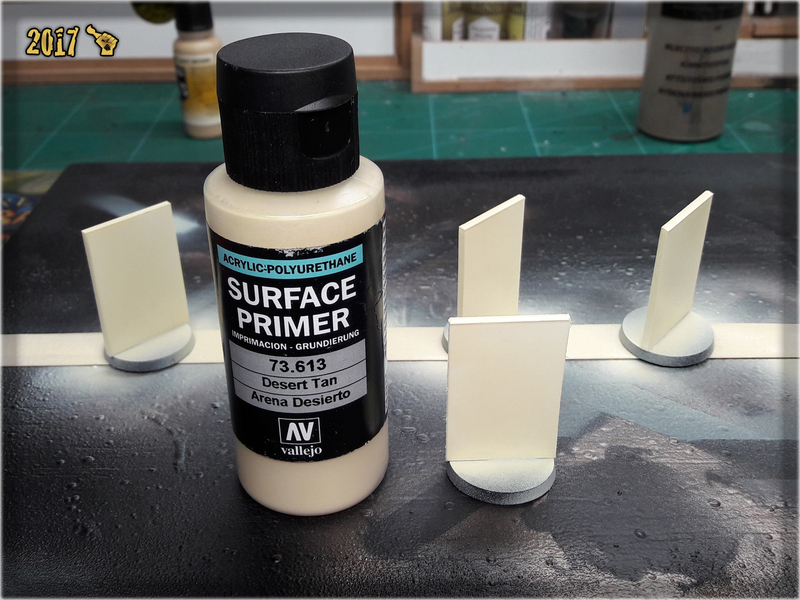 7 Basing came last. 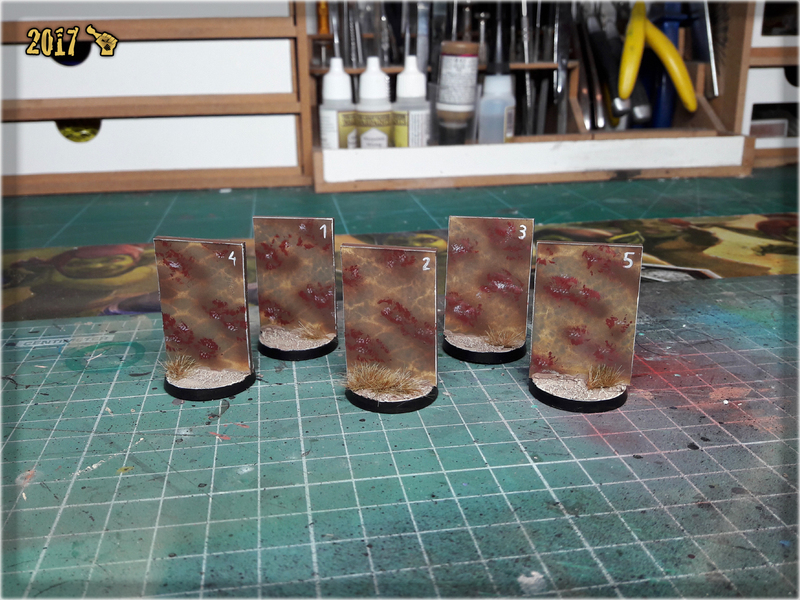 I used Games Workshop Agrellan Earth and Agrellan Badland, then drybrushed them with Karak Stone and Flayed One Flesh. Work done.